For years, pharma’s critics have decried the industry’s practice of “evergreening,” or extending drug patent life, arguing that it results in expensive and less innovative products. However, the desire to wrest value out of drug development costs, pegged at $2.6 billion in Tufts’ latest figures, might be understandable. A different and possibly less objectionable approach to extending intellectual property is drug repositioning. It finds new uses for active pharmaceutical ingredients (APIs) that were originally developed for different applications. The practice is older than the term, says Vienna-based consultant, Hermann Mucke, Ph.D., who has worked on several prominent repositionings. He likens drug respositioning to Inuit-style whaling. With both practices, the idea is to use every part of the resource. Conventional drug development, in contrast, could be said to resemble the “club-and-discard” approach to seal hunting. Working with proven compounds, whose toxicity and other effects have been studied, reduces both the cost and time required for development. “The issue is making the best use of existing resources,” Dr. Mucke says. Today, a number of Big Pharma and biopharma companies have programs in place. A new peer-reviewed journal, Drug Repurposing, Rescue, and Repositioning (DRRR), published by Mary Ann Liebert and for which Dr. Mucke serves as editor, just started up this year, and the field is attracting more specialists, who are approaching repositioning from different angles. Many of them will meet at the Arrowhead conference on Drug Repositioning, Repurposing, and Rescue, which will be held May 27–28 in Chicago. Several of the conference’s speakers contributed their views to this article. The financial benefits of repositioning are clear in such blockbusters as Pfizer’s sildenafil (Viagra), originally developed to treat hypertension. Dr. Mucke recalls some less famous examples, such as the acetyl cholinesterase inhibitor, galantamine, the story behind which will appear in DRRR’s second edition. Discovered in Bulgaria in the 1950s and sold in Eastern Europe to treat paralysis, myopathy, and brain injury, galantamine was readvanced in the 1980s once the mechanism behind Alzheimer’s disease was better understood, and Janssen and Shire Pharmaceuticals launched it as Reminyl in 2000 (later rebranding it Razadyne). 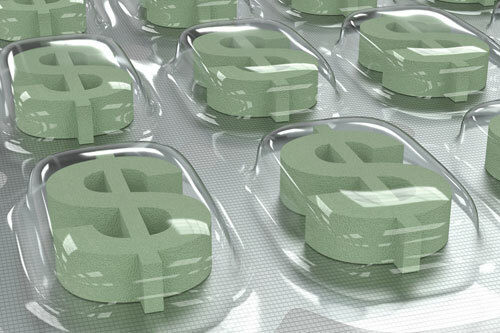 For repurposed drugs, the financial stakes are clearly high, but so are the potential benefits for patients. Orphan drug regulations, which offer increased funding and faster regulatory review, are driving many repositioned drug research projects. Relmada Therapeutics, for example, is focusing on chronic pain. “It’s a major unmet medical need, and existing therapies don’t work in many patients,” says Elisio Salinas, M.D., the company’s CSO. In addition, many existing treatments are regulated substances, and the past few years have seen more cases of theft, diversion and reprocessing, and overdose. Relmada currently has four programs in Phase I, three of which will enter Phase II within the next year, says Dr. Salinas. The fourth, he says, should reach Phase II in the next 9 to 12 months. An extended release, abuse-resistant version of Levorphenol, a strong opioid. Addicts and those who steal and sell prescription painkillers usually use basic techniques and kitchen tools to extract the API. Relmada is using different polymers and waxes to make capsules of the drug impossible to melt or crush. d-Methadone, an N-methyl-D-aspartate (NDMA) receptor agonist. The d isomer, unlike the l isomer, is believed to have a low potential for addiction. Also, it does not cause respiratory depression. The next step will be demonstrating that the d isomer works on chronic pain. Phase I trials were successful. An oral solid dosage form of buprenorphine, a drug currently sold in injectable, topical patch, or sublingual forms. To prevent the drug from being filtered out by the liver, or reacting with enzymes in certain areas of the gastrointestinal (GI) tract, Relmada is using enterocoatings that would avoid problem areas in the GI tract. A topical treatment for the neuropathy caused by HIV, as well as the post-herpetic neuralgia that affects 20% of shingles patients, who continue to experience pain after the rash has gone. This project involves reformulating a local anesthetic used as an injection in dental and OB/Gyn procedures. Keeping track of all the potential candidates for repositioning is a daunting task, but a growing number of public and private databases help. Efforts are focused on harnessing this data more effectively. H. M. Pharma Consultancy, for instance, is developing the Discontinued Drug and Candidate Database (DDCD) as a reference tool to make it easier to identify potential candidates. The database, using publicly available data, goes back to the early 1990s, Dr. Mucke says, collating comprehensive information on pharmaceutically active compounds that have been discontinued from development, or have been pulled from the market. In addition to all identifiable “hard” data (such as chemical structure, INN names and/or research codes, pharmacological activities, and key literature and patent references) for which extensive web references are to be provided, the DDCD will contain a wealth of “soft” context-based information such as developer statements and analyst assessments. Currently, Dr. Mucke is using the database internally, but he will unveil it at the Chicago conference. With venture backing, and IT development and programming, he believes that it could be useful to third parties, either on a subscription basis or as an open-access tool. Other companies are using advanced technology to mine repurposed drug data. Barcelona-based SOM Biotech, established in 2009, uses its own software based on molecular, not structural, analogs, to find other compounds with similar activities, says Nuria Reig, Ph.D., the company’s R&D manager. 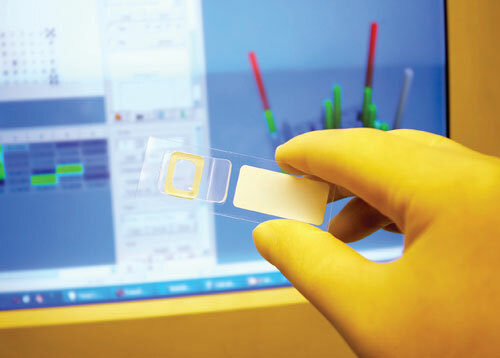 SOM Biotech’s virtual, ligand-based technology can screen over 10,000 compounds, and it has developed a list of compounds that determine activity. With venture capital funding from industrial and private investors, the company has evaluated 50 drugs so far, and it is running clinical trials on treatments for orphan diseases. “Interim results are positive, and we hope to present them at BIO in June,” notes Dr. Reig. The company intends to offer licenses of Phase III-ready drugs to Big Pharma. SOM Biotech’s goal is to complete 25 projects and generate six patents per year. In Palo Alto, CA, NuMedii, established in 2008 with venture capital backing, is using a technology platform that encompasses genomics, network-based methods, machine learning, and chemoinformatics to examine data. Originally established by cofounders Atul Butte, M.D., Ph.D., and Gini Deshpande, Ph.D., at Stanford University, it examines disease classifications on the molecular level. “The thinking was, if you could find diseases with molecular similarity, then you should be able to do the same for treatments,” explains Dr. Deshpande, the company’s CEO. Through a partnership arrangement, NuMedii uses Thomson Reuters MetaCore and Integrity content, as well as Thomson Reuters Life Sciences Professional Services expertise in systems biology, in conjunction with its unique Big Data technology and databases, to find FDA-approved drugs or discontinued development compounds that are appropriate for repurposing. NuMedii’s technology has been validated, preclinically, Dr. Deshpande says. One project is an antiseizure drug that could be used to treat Crohn’s disease; others are treatments for lung cancer and ulcerative colitis. At this point, the company’s focus is on validating information rather than licensing its technology. “Big Pharma is focused more on new chemical entities,” says Dr. Deshpande, “But what we are doing with new biologics can be validated, and we are exploring discussions with pharma around novel mechanisms.” That way, she says, one can validate the biology in patients, then use that as a basis for new drug development. Across the pond in Cambridge, Healx started up last year to apply machine learning and bioinformatics to drug repositioning. The company uses a cloud-based platform developed by Andreas Bender, Ph.D., lecturer at Cambridge University, which is also alma mater for CEO Tim Guilliams, Ph.D., a specialist in biophysical neuroscience. “The tricky issue for this field is access to data in the right format,” Dr. Guilliams says. Healx is working with both public and confidential databases. So far, the company has assembled 180 databases with information on treatments for over 400 diseases. “Of our top predictions, so far, 80 have been validated,” Dr. Guilliams asserts. The company has recruited blue-chip investors and executives, including CSO David Cavalla, Ph.D., a drug repositioning expert, and most recently a senior executive from Roche. “It is easy to make predictions, but making meaningful products is hard, so we have recruited experts with 30 years of pharma experience to help with this,” explains Dr. Cavalla. The company plans to operate as a virtual company, working with CROs and academic labs on in vitro and in vivo and preclinical studies. Healx is also looking at generic and off-patent drugs. “We are testing the first batch of compounds that would regulate specific genes that aren’t sufficiently expressed,” notes Dr. Guilliams. “We predicted that certain compounds would work. We are also looking at downstream effects, and each repositioning involves a model based on that case. The company will also use a “social enterprise” model, directing part of its profits to those groups. “I personally think it is the way forward, and that pharma got it wrong for a long time,” Dr. Guilliams insists. The company, which has ties with rare diseases groups in the U.S., has established the Cambridge Rare Disease Network. It has also helped identify a rare glycosylation disorder, NGLY deficiency, in efforts to find target compounds to treat a six-year-old boy in the U.S. who suffers from the disorder. Despite all the progress being made in drug repositioning, current clinical trial practice is a limiting factor, Dr. Mucke advises. He adds that adaptive trial methods, greater use of data, and a return to more empirical testing should help make a difference.